Google developers designed the game using web technologies such as WebRTC and WebGL. As long as your device has a high-end graphics card, you should be able to share in the experience just fine. 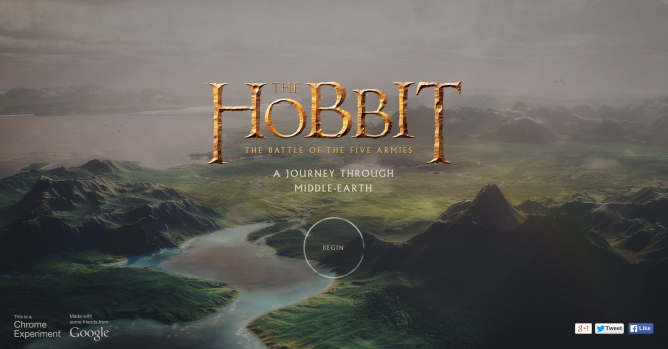 What high-end means here is relative, because A Journey Through Middle-earth is playable on Android phones and tablets alike, in addition to desktops. Apple fans can also get in on the action on their iPhones and iPads as long as they install Chrome. As a Chrome experiment, this game is free to play. To dive in, just head over to goo.gl/TheHobbit.